Marketing is, in fact, referred to as a science and as such demands levels of knowledge and experience just like a Chemist, Biologist or Physicist. Why is that? Good science is based on empirical evidence and then extrapolations can be made on cause and effect. In Marketing, the same does apply. For example, if you put prices up, you may sell less product, but increase you profit margin. If you spend a million pounds on advertising, you expect sales to increase, but you need to check the RoI. If you achieve distribution in supermarkets, more people will be exposed to your product and awareness of your brand will increase. And so on. The fact is that advertising is now a science, too. 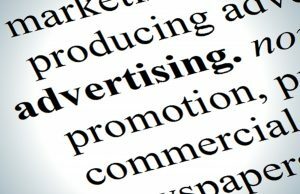 Before the digital age, the best one could expect to check the success or failure of a campaign was either through undertaking very expensive pre and post awareness research, having a coupon on a press ad, or buying Nielsen data to check supermarket sales of your product increased across the period of the campaign and by how much. In the digital age, everything is now checkable. Advertising online is subject to more measurements than a bespoke suit from Saville Row. Great exponents of digital advertising will use data, big data as it’s known, to plan campaigns within a nanometer of its life. Copy is tested, RoI measured every which way and you can see the immediate effect of a post on Twitter or Facebook. So, where does this leave TV, newspapers, poster, cinema and radio advertising? Once upon a time it was as basic as seeing if sales had increased during the advertising campaign. Or an expensive pre and post awareness research study. This is one of the reasons why traditional media is losing share to online. It’s just not as accountable. It certainly does not follow that traditional media is less efficient than its’ digital relations. It’s just more risky. For example, once you have started a £ million TV campaign, you can’t pull it. You’re committed. If your digital campaign is falling over, you can stop, reflect and put it right. In a world where risk is measured and therefore diminished, digital marketing will continue to take market share from the traditional media channels. This may not be the right strategy, but if your TV campaign goes bang, you’re more likely to lose your client – or your job.